↑ Eugene Hernandez (25 de enero de 2013). «Daily Buzz: Sundance Episode 8». Film Society of Lincoln Center. ↑ Tara Aquino (16 de agosto de 2013). «Rethinking the West with "Ain't Them Bodies Saints," David Lowery's Artful Sophomore Feature». Complex. ↑ Christopher Kelly (agosto de 2013). 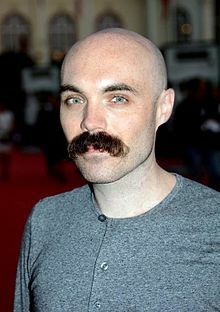 «How David Lowery Became Dallas' Most Important Filmmaker». D Magazine. ↑ Nick Schager (17 de abril de 2011). «St. Nick - Film Review». Slant Magazine. ↑ Tatiana Siegel (6 de enero de 2013). «Sundance 2013: 5 Faces to Watch». The Hollywood Reporter. ↑ Jeremy Kay (6 de abril de 2009). «Gigantic, Skin among key winners at AFI Dallas festival». Screen International. ↑ "Sundance Entrevista: 'no Es Les Santos de Cuerpos' Director David Lowery Explica Hacer Películas Más Accesibles y Por qué no Pueda Parar Editándoles". ↑ Derek Smith (20 de agosto de 2013). «Ain't Them Bodies Saints - Film Review». Tiny Mix Tapes. ↑ Kristian Lin (28 de enero de 2013). «North Texas Films at Sundance: How'd They Do?». Fort Worth Weekly. ↑ Eric Kohn (20 de enero de 2013). «Sundance Interview: 'Ain't Them Bodies Saints' Director David Lowery Explains Making More Accessible Movies and Why He Can't Stop Editing Them». IndieWire. ↑ Tara Aquino (17 de agosto de 2013). «David Lowery - 25 Directors Who Are 35 and Under You Should Know». Complex. ↑ Mark Olsen (17 de agosto de 2013). «David Lowery's rapid rise with 'Ain't Them Bodies Saints'». Los Angeles Times. ↑ Dave McNary (17 de mayo de 2014). «Cannes: Benedict Cumberbatch, Tye Sheridan in Iraq War Drama 'Yellow Birds'». Variety. ↑ Eddie Harrison (4 de septiembre de 2013). «Interview: David Lowery, director of Ain't Them Bodies Saints». The List. ↑ Anthony Gibson (21 de febrero de 2014). t-altman-for-aint-them-bodies-saints-4311328/ «David Lowery: I wanted to capture the essence of the great directors, such as Robert Altman, for Ain’t Them Bodies Saints». Metro. ↑ Gordon Cox (7 de enero de 2013). «Lowery: Texan talent is Sundance-bound». Variety.